JACKSON, Wyo. (AP) — Great wine starts with great grapes, the kind that can’t survive an 8-month-long winter. 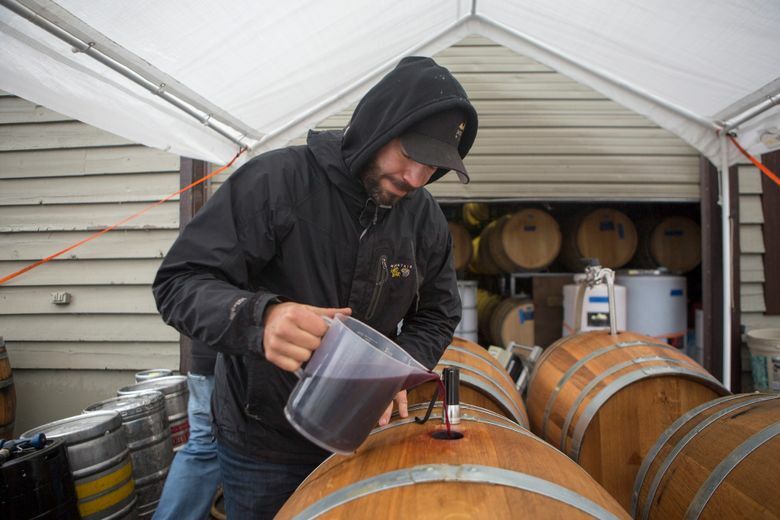 Jackson Hole Winery co-owner and winemaker Anthony Schroth knows that struggle all too well. 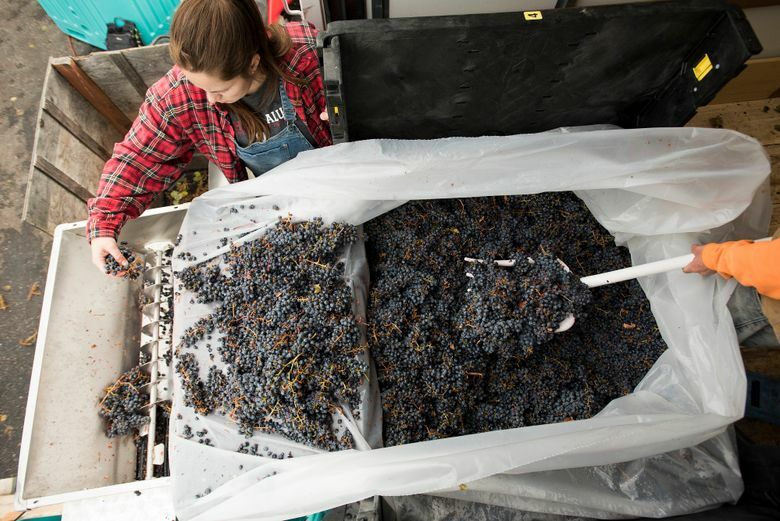 In 2010, when the small local winery was getting off the ground, Schroth planted a variety of grapes known to withstand cold temperatures — bred and cultivated by the University of Minnesota — on the winery property in South Park. The 20 vines of Marquette grapes had a shorter ripening period and had their own rootstock, meaning they didn’t need to be grafted to grow back the same grapes again. “Every spring we would get new growth, about 6 to 8 inches,” he said. “And then we would get a hard freeze or frost and it would kill them. They would always come back, but after five years of minimal growth and yield Schroth gave up on growing his own grapes. A nice temperate climate is ideal for growing grapes and wine is usually made close by. Schroth decided to mix up that model, using the altitude and cold temperatures of Wyoming’s mountainous climate to his advantage. He uses grapes grown in the perfect climate of Sonoma and Napa counties in California and makes the wine in Wyoming. “I started noticing there were a lot of benefits to fermenting at altitude,” he said. At first he didn’t know what was going on, just that something was different than when he produced wine in California. Then it hit him, the 6,237-foot elevation of Jackson was affecting the fermentation, just like it does with baking, boiling water and even a sea-level tourist’s lungs. The grapes are introduced to a low oxygen environment that’s known for low temperatures. From where the grapes are picked in Sonoma to the winery in Jackson, there is a 6,000-foot elevation difference and could be a 50-degree temperature swing. The United States Department of Agriculture says that above 2,500 feet, the atmosphere becomes much drier and the air has less oxygen and atmospheric pressure. 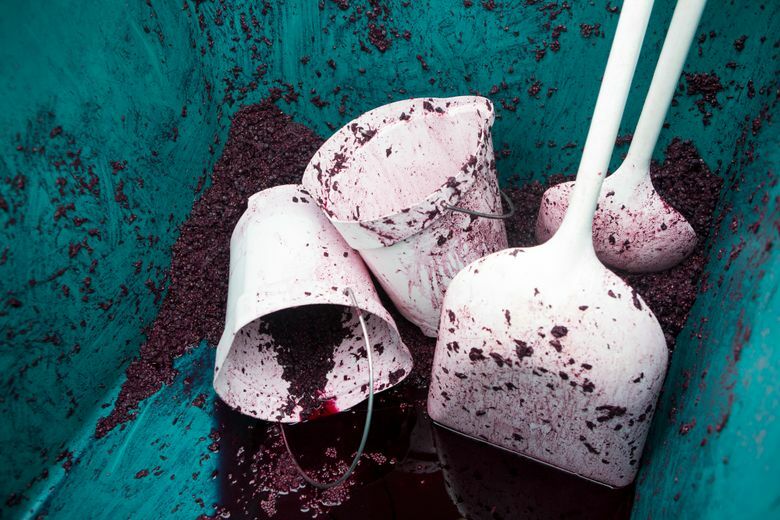 Schroth said the primary fermentation of wine peaks around 85 degrees and slows down below 50 degrees, which happens naturally at the Jackson winery. Schroth has the opposite problem; he said they hope it gets up to 85 degrees. The winemaking room has heating components and the barrel aging room has a heated floor. Once the wine is put into barrels for aging the cold climate works its magic. Below 50 degrees, there is no activity in the barrels, which is what the winery wants, Schroth said. You want it to age, not ferment. 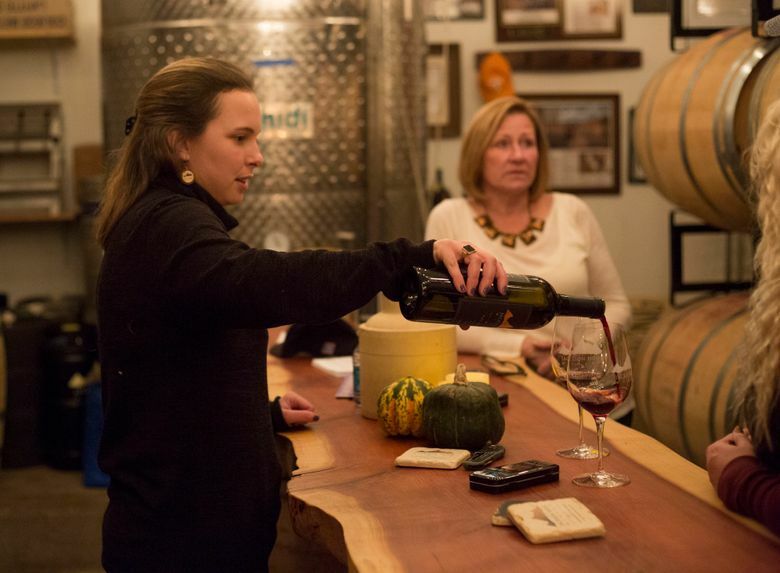 Most people had doubts of a winery being viable in Wyoming. Schroth grew up in Jackson, but moved to northern California to study at Sonoma State University. He loved learning about wine and decided he wanted to open his own winery. “I thought, ‘I could do this in Wyoming,'” he said. 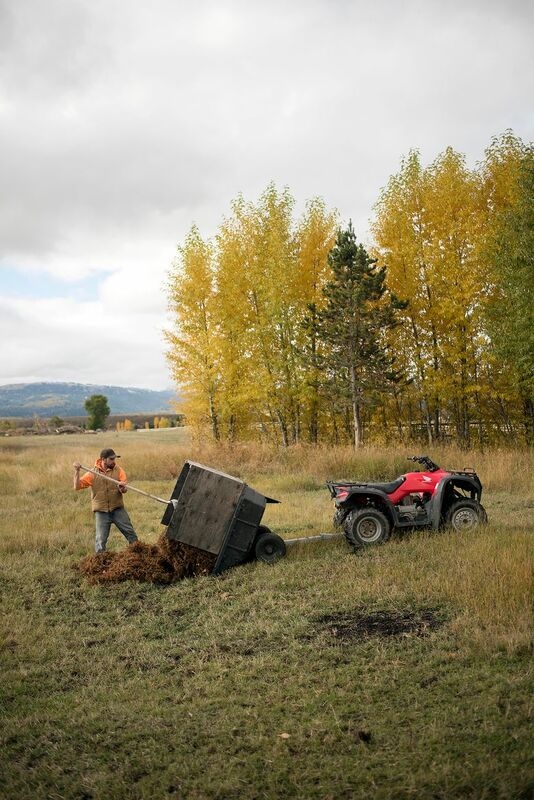 He put together a business plan for Jackson Hole Winery, but people had their doubts. Most Californians thought it was a bad idea and that he couldn’t make it work. Even his father thought it was a bad idea (at first). “They just kind of chuckled and said ‘yeah, I don’t think so,'” he said of when he told his parents. So Schroth played it safe and started a label in California, Premonition. He started managing a vineyard in California and produced his first commercial vintage in 2009. His parents were impressed and gave into his idea of a Jackson Hole winery. The business came to life in 2010 and the first two wines, a chardonnay and the Rendezvous Red Cabernet Frac and Syrah blend. “We started out really small and it was really experimental,” he said. 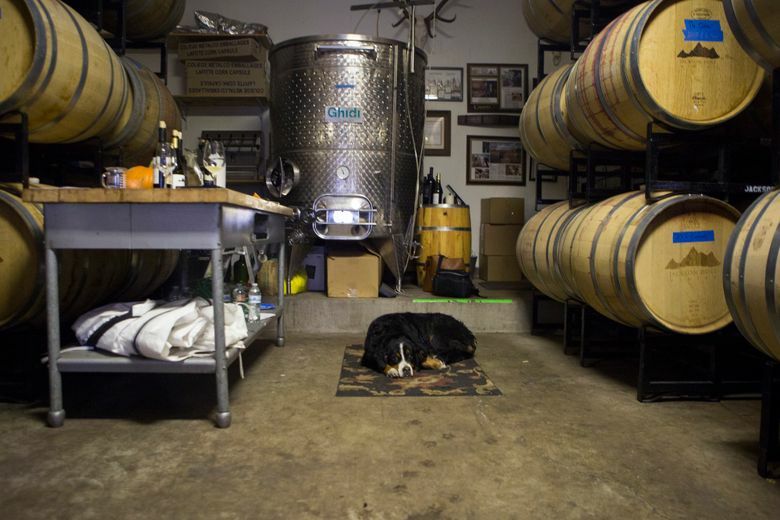 Seven years later the winery has a lineup of six wines including the first two wines and Summit, a dry Riesling; Catch and Release, a Zinfandel; Outlaw, a Dry Creek Cabernet Sauvignon; and a Pinot Noir. There have also been a group of other specialty wines produced including a Rose, a Vioghiert and a newly made Port. “And it never came,” he said. There’s been a resurgence of craft in the Cowboy State. A large amount of breweries and distilleries have made small Wyoming towns their home. 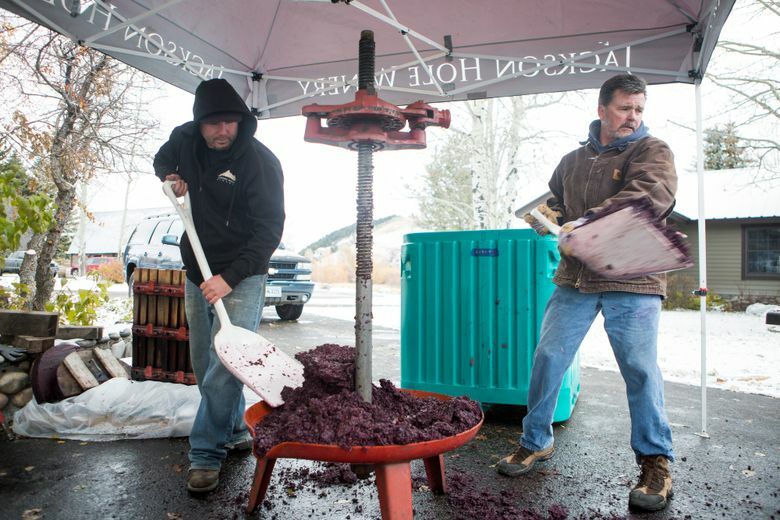 Jackson Hole Winery is one of two winemakers in the state, although Schroth said he heard something about an operation starting in the middle of the state. Schroth said it wasn’t easy for those small businesses to start back up after the alcohol ban. Even now, it’s a hard business to break in to. It’s capital and time intensive, especially when it comes to wine. The very first year of production is made up of buying (or growing) grapes and all the equipment involved in fermentation and aging. The second year you need to buy more grapes, more equipment and more barrels. It isn’t until the third year that you see if your work paid off. And you need to buy a lot of bottles. “You get that one shot at a first impression,” he said. Luckily, for the local winery, their work paid off. “It’s a tough business to get started, but you’re seeing a lot of these communities get behind their local brewer, winemaker or distiller,” he said.